This one's for you, Poptarts! 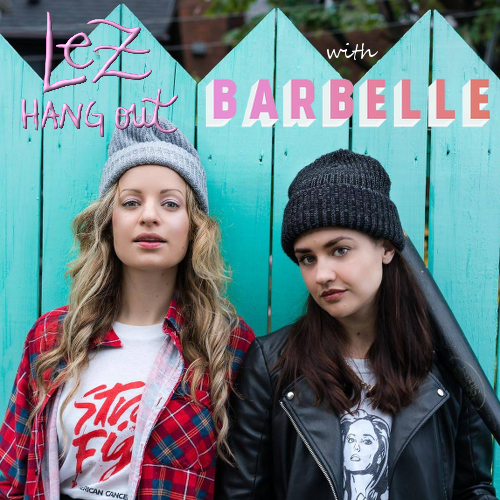 Leigh and Ellie talk to the writers and stars of Canadian web series Barbelle, Karen Knox and Gwenlyn Cumyn about creating queer content, their favorite moments of season 1 and what's in store for the second season. Barbelle (@barbelle.series) is the story of two lesbian pop stars, Alice and Veronica, who were in love and in a band together, but they break up and still have to give their record label an album and a tour. It's the classic tale of lesbian exes working together with some pretty awesome music on the side. You can watch the first season on KindaTV here! Follow along on Twitter: Lez Hang Out (@lezhangoutpod) and answer our Q & Gay at the end of every episode. Leigh Holmes Foster (@lshfoster) and Ellie Brigida (@elliebrigida). You can also join us on Facebook.com/lezhangoutpod and Instagram (@lezhangoutpod).